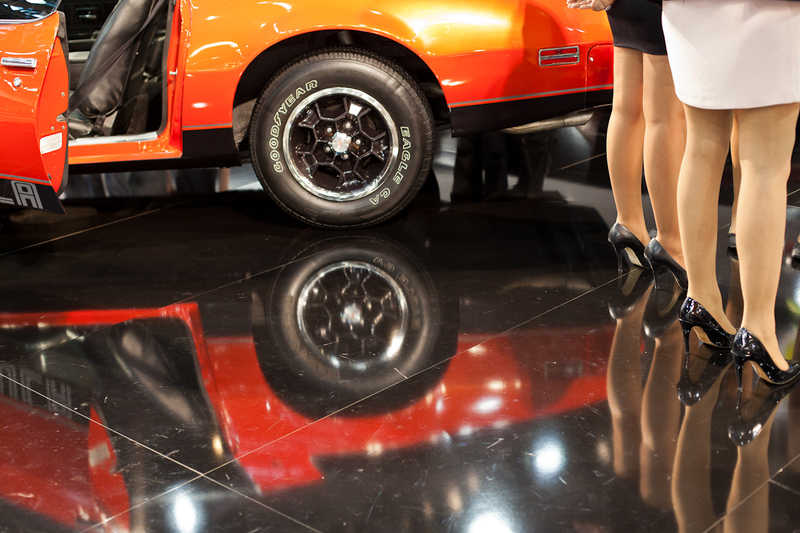 It's not only the cars that reflect in the shiny floors. This should be an advertisement for the floor wax. Legs, high heels and cars. What a great combination.